Posted August 1, 2017 • filed under Experience. I have tried again and again to become another person. I have spent years trying to think my way into different people’s heads, language, rhythms. These people have sometimes been real people. More often they have been narrators and characters. Sometimes, though, they have been writers – writers I tried to be. One was the imaginary author of a novel that was published as King Death. I was convinced this novel should come out not by me but under a pseudonym – that of a Japanese woman. I wanted the novel to appeal to readers of Banana Yoshimoto. The whole idea behind the book, right from the start, was that I – Toby Litt, male, “established”, literary author – might be putting potential readers off. 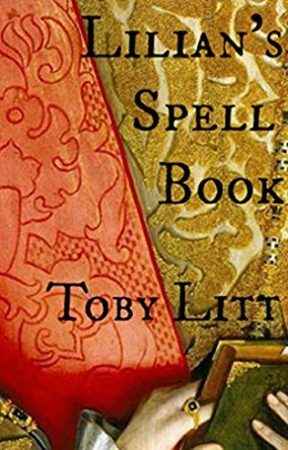 Find Toby Litt’s latest novel here too. What I hoped was to have my unnamed narrator be as close to her reader as possible. In fact, by writing my narrator as I did, I was trying to entice my reader – a new reader for me, I hoped – to discover the book I’d made for her. When the time came to submit the novel to publishers, I confused matters by insisting that it went out under the Alex Warden pseudonym. This didn’t fly – none of the major publishers went for the novel, which they were told was by ‘someone they would have heard of, when the author’s identity is revealed’. Lilian’s Spell Book was a ghost story, and publishers generally liked the first half, but then it didn’t continue as they expected. Put bluntly, it wasn’t scary enough for them. But I’d never intended it to be scary. The haunting that takes place is meant to terrify only until it starts to be understood, after which it becomes wonderful. Before J.K. Rowling gazumped the idea for her Book of Spells, I’d thought of calling Lilian’s Spell Book not a ghost story but a ‘wonderbook’. After being rejected by all the publishers I’d hoped would love it, the novel sat around on my hard drive for a couple of years. Cut to 2013, when I was teaching a residential creative weekend at Tickton Grange. This was part of the Beverley Literature Festival. (So, thank you to them.) I sat in on a presentation by Alysoun Owen, Editor of the Writers’ and Artists’ Yearbook. She was talking to my students about ‘bespoke tips on getting published’. Once back home, I looked Wattpad up. Conventional publishing had told me Lilian’s Spell Book failed because it wasn’t scary enough – it took a generic detour. Fine. I’d see what readers with no investment in it thought; readers who’d got it for free. Whenever a new reader started on the Prologue, I got a notification – and I made sure to message them, to say I hoped they enjoyed the book, if they got the chance to keep reading. My first impression was that a lot of the readers were young, and the messages they sent back were often enthusiastically mistyped. These weren’t fussy people. What they wanted was a good story that gripped them – and that they could get for free. I was really delighted. These weren’t my usual readers. Most of these new readers had no idea I’d written other books. They sometimes said I should keep going, because I had talent. I found this incredibly touching, and encouraging. I wasn’t hiding my identity or that I wasn’t a first-timer. On my Profile page, I’d put up a biography, explaining a little about who I was. I hoped a few readers might cross over from Wattpad to the world of physically published books. I’m not sure if any did. The Wattpad readers seemed to be a separate bunch. A typical message might say, ‘I enjoyed your novel so much I couldn’t put my phone down until I finished.’ Being read on phones – this was new for me. I had been worried that as soon as it became clear that Lilian’s Spell Book didn’t follow the conventional ghost story structure of escalating scares, including false ones, that word would get around that the book was a disappointment. (Word on Wattpad can get around really fast – there are readers’ comments at the bottom of each page.) But as the days went by, the number of readers increased, and quite a few were sticking around waiting for the next chapter. As a Wattpad author, you get access to a lot of stats about what you’ve written and how it’s being consumed. I immediately learned that the drop-off in readers between the Prologue and Chapter Five was high. Lots of people read openings of books online, just as they would if they picked a physical copy up in a bookshop. I tried not to find this disheartening. Only about 4% of the readers who read the Prologue get to the final chapter. But the drop-off from Chapter 6 to the end is far more gradual. If a reader makes it to Chapter 6, there is a 50% chance they’ll continue to the end. By itself, without promotion, Lilian’s Spell Book picked up a much bigger than average readership. (I’ve put a few stories on Wattpad that have had around 200 reads in total.) Quite often Wattpad books are only read by a dozen or a few dozen people. Each chapter that’s looked at is counted as a ‘read’. That’s exactly equivalent to a hit on a webpage. A hit doesn’t, of course, mean that someone has read a whole page, just opened it in a browser. But consecutive hits make it almost certain that someone is reading attentively. The number of reads for the final chapter is likely to be the total number of people who have finished the book. For Lilian’s Spell Book this is around 7,000 in four years. The reads figure is an impressive 750,000. After Lilian’s Spell Book had been around for a few weeks, Gavin Wilson of the Wattpad Team contacted me. He said they’d noticed that Naomi Alderman, another Wattpad author, had mentioned me in a tweet. It was possible, Gavin said, for the site to feature a novel. This would mean it appeared on the home page of both Web and App. Algorithms could be nudged, coaxed. Lilian’s Spell Book would appear on reader’s screens a little more often. I said yes. Some of the other books there in the most-read had up to three million or in one case seven million reads. Until very recently, Lilian’s Spell Book tended to climb back into the Paranormal top 200 every weekend. I can only assume that new readers find it, carry on for more than a couple of chapters, increasing my stats. The comments I’ve had – because I politely asked for them, but also because they’re part of the culture of Wattpad – have been very useful. They’ve ranged from pointing out typos to full editorial run-downs. The most frequent comment, I think, was that people would like to know more – or to have a sequel in which the character Lilian is able to speak for herself. In the Afterword, I asked for specific feedback on one part of the book. The narrator is a mother with two children, one of whom is still being breastfed. Several publishers saw this as a real flaw. In terms of plotting, it limited the main character – she wasn’t so free to roam around the haunted house, and to get into trouble. (Although she does do this increasingly, as the story progresses.) I asked in the Afterword whether the breastfeeding was off-putting, whether it was too much? Some people definitely thought so. Others said it was one of the things they felt was most refreshingly different about the book. They understood what I had been after – that the book was about the alchemy of family, and how that can turn time to gold. When I finished writing Lilian’s Spell Book, in a hotel room in Belgium, I wept. Nothing else I’ve ever written has had such a powerful effect upon me. Partly because I was a little hungover and exhausted. Mainly because I thought, I’ve done it! ‘It’ being write a book that was straightforward, heartfelt, not distancing, and that would get through to lots of readers. I’d also constructed a really complicated book (in terms of plot and backstory) but managed to bring it home, and in a way that felt genuinely achieved. I thought it was the best end of a book I’d ever managed. The disappointment when it didn’t find a publisher had been very deep. I hoped I’d written a gift of a book – it was returned; it felt like it had been unopened. Wattpad enabled me to give the book away as a gift – I’ve made no money from it so far, except the £50 I’m being paid for this blog. Everyone who’s read it has done so for free. But now that the Spell book has found an afterlife on Wattpad, I’ve decided to go the whole way. As so very few of the reader’s comments have been disappointed, I can only assume that the publishers were wrong and the readers – and I – were right. Ghost stories can be about wonder and healing as much as horror and screaming. I’ve decided to take Lilian’s Spell Book to other readers – making it available on Kindle to start with, then elsewhere. I’ve been reluctant to do this because I like the first home it found, on Wattpad, and the readers there who made me think I’d done the right thing by not hiding it away as a shameful failure. I believe that Lilian’s Spell Book is different from my other books. One of my tests of whether a book of mine is successful is whether or not, looking back, I can easily imagine myself writing it – can I trace an obvious line between it and me? If it’s too obviously me, that’s a disappointment. So, I think I’m able to be a little proud of Alex Warden – the writer I believed I was, that I believed I was going to become, all the way through writing Lilian’s Spell Book. She wrote a good book. But I am more proud of the kind, insightful, magically enthusiastic readers of Wattpad. They collectively performed their own alchemy – bringing a dead book back to life. Toby Litt is a Senior Lecturer in Creative Writing at Birkbleck University of London. Toby is a short story writer, novelist and non-fiction writer. 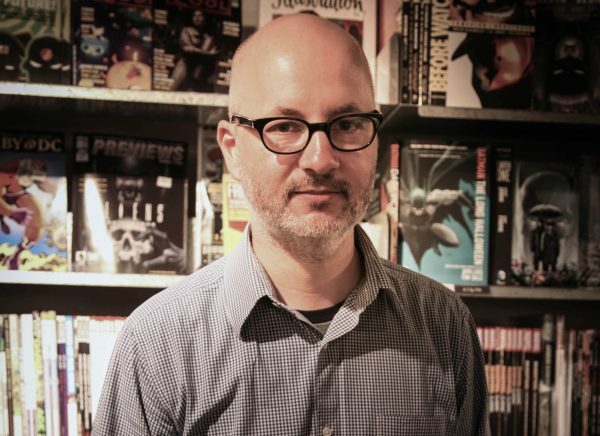 He has also written comics and opera libretti. Read more here.